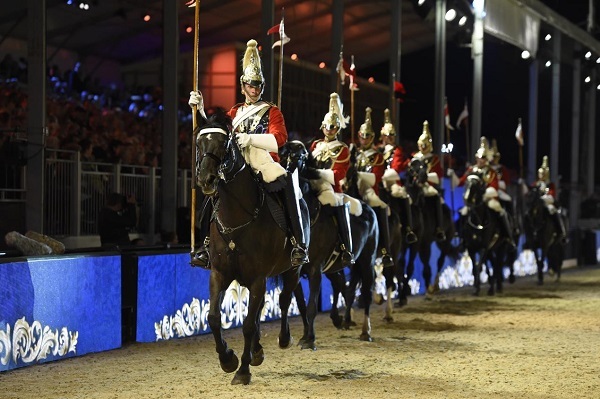 2019 celebrates the 200th Anniversary of the birth of Queen Victoria and to mark this significant occasion, the BAFTA Award winning team of the 2016 Best Live Event (The Queen’s 90th Birthday Celebrations) will stage The Pageant on the evenings of May 9, 10 and 11 at Royal Windsor Horse Show. Presented by Alan Titchmarsh, the pageant compere, the 90-minute show will bring together memorable events from the Victorian Era including Elgar, the Music Hall, Gilbert & Sullivan, Dickens, Rail Travel and the Industrial Revolution. With only 3,500 seats for sale each night, the pageant is expected attract a full house. A cast of artists, dancers and performers, together with 500 participants, over 400 horses and 30 carriages will re-create 19th Century Great Britain and the Reign of Queen Victoria in a theatrical tableau beneath the floodlit Windsor Castle. The show will be choreographed by Dougie Squires MVO, who was responsible for the stage direction of HM The Queen’s 90th Birthday Celebrations. Alongside the Household Cavalry and The King’s Troop Royal Horse Artillery, will be the Czikos from Hungary, the acrobatic and daring Land of Fire Display from Azerbaijan, Pipes & Drums, Dancers from the Music Halls, performers from Gilbert & Sullivan Operas and a Balmoral Dressage Quadrille. This joins the Pageant Series at Royal Windsor Horse Show, which over the years has included All The Queen’s Horses (2002), Windsor Castle Royal Tattoo (2008 to 2011), The Diamond Jubilee Pageant (2012) and The Queen’s 90th Birthday Celebrations (2016). Tickets for The Pageant go on sale this coming week and visitors may purchase them online at www.windsorpageant.co.uk or via the box office on 0844 581 0755 . Local Windsor residents may purchase their tickets at Windsor Information Centre located in Windsor Royal Shopping or by telephone on 01753 743589. Runners from historic Downs Stables at Findon are coming into good form, with trainer Nick Gifford, assisted by his wife Ruth, currently having their string in top condition. Recent successes include an impressive win at Kempton when Fairway Freddy secured another victory, well ridden by Rex Dingle. Owned by The Gold Dream Partnership, and led up by Andrew Tony Veale, this progressive young horse continues to improve and is a star for the future. He benefits from being ridden at home by not only Andrew Tony Veale but also former jockey Gerry Enright, whose vast experience will benefit this rising stable star. He is clearly heading to be a stable star for the future. Other runners from the yard have also been in the limelight. Another horse to note is Notre Ami, owned by the Morpheus Partnership. The seven-year-old had an unfortunate fall in a novice handicap chase at Huntingdon in early October, but has put that behind him. Notre Ami went on to finish second in a confidence-building handicap hurdle at Lingfield, ridden by Nick Scholfield in mid November. Then on November 26 he ran in the Beginners Steeple Chase over two miles two furlongs on good ground at Kempton finishing third under Leighton Aspell over fences. He was led up by Andrew Tony Veale, who also rides him a lot at home. PLUMPTON Racecourse offers the chance to get into a festive mood with a racing fixture over jumps at this popular Sussex track on Monday December 3. There will be live music and top class jump racing in a very special atmosphere with more than £50,000 of prize money on offer. This is bound to attract quality fields again. At the same fixture last year, Jester Jet was a ready winner of the Class 3 Mares’ Handicap- and went on from that to land a Grade 3 race at the Aintree Festival. Another good victory was when Frank N Fair, a firm local favourite from the Zoe Davison yard, landed the Tysers Handicap Chase. The racecourse has more than £50,000 prize money on offer at the fixture on December 17. Trainers and horses come from afar to try and get one final win at Plumpton before the year comes to a close. And what better way to start 2019 being at Plumpton for the Sky Sports Racing Sussex National on Sunday January 6? Blow away those Christmas Blues and be at Plumpton for this flagship race and fixtures with more than £80k of Prize Money. The big race itself is worth more than £35,000 and always attracts a good turn out of runners. SANDS Farm Equitation Centre in Northlands Road at Warnham, near Horsham in West Sussex, has a busy programme of equestrian events in December, continuing into the New Year in January 2019. This is a top class equestrian centre offering D.I.Y. livery, a variety of showjumping, showing and dressage competitions, clinics and gridwork throughout the year. There is a large international sized indoor arena with a full race of show jumps, a PA system and electronic timing, dressage boards, judges boxes and full flood lighting. There is a covered outdoor warm up arena, pictured below, just a short walk away from the indoor collecting ring. This is a dry place to warm up your horse out of the winter elements before you are called for your class. Just a small walk from the indoor collecting ring. LRG Photography, which specialises in equestrian and animal photography, is the official photographer for this and a number of Equestrian Centres & Riding Clubs in Sussex, Surrey & Hampshire. The centre is also available for hire on days when there are no events booked. The programme leading up until Christmas starts on Sunday December 2 with an Arena TREC event with Jenny Snowden, and is followed with Gridwork with Donald Kear on Thursday December 6. There will be Surrey Union Pony Club Dressage on Saturday December 8 followed by Chiddingfold Farmers Junior Christmas Show on Sunday December 9. Sands Farm Dressage takes place on Wednesday December 12 and Surrey Union Pony Club’s Fun Show is on Saturday December 15. Crawley and Horsham Pony Club will be holding its Christmas Show there on Sunday December 30, and another popular Gridwork with Donald Kear follows on Monday December 31. Dressage is on Wednesday January 9 and Gridwork with Donald Kear on Thursday January 10. Irish international polo player Niall Donnelly has taken over the running of the All England Polo Club at Hickstead. He takes over from Sarah Wiseman from Aspect Polo, who will be focusing on playing international polo on the Women’s Tour. “Niall has been closely involved with the club for several years, and we are looking forward to a fantastic 2018/19 winter season under Niall’s stewardship,” said AEPC Chairman, John Bunn. Niall began his polo career at the age of 14 and has gone on to play all over the world, including Australia, New Zealand, India and most recently, Barbados. He currently plays off an outdoor handicap of 4 goals and an Arena handicap of 6. He is a regular on the International Irish team and has won several best playing pony prizes while representing his country. As well as playing, Niall spends his time training polo ponies and coaching players. “I am looking forward to the upcoming season at Hickstead, and I am hoping to introduce lots of new players to the excitement of Arena Polo, as well as coaching some of the talented young players in the area,” said Niall. The All England Polo Club has a full-sized 100m x 50m arena, a popular clubhouse and stabling for more than 80 horses. Polo livery is available, as well as rental horses and lessons. The Hickstead season gets underway with an open weekend of chukkas, followed by regular Club chukkas and tournaments most weekends throughout the winter. The season culminates with the Arena Polo International Test Match on Saturday March 2. Tickets for the Test Match go on sale later this year, and will cost just £5 per ticket. Admission and parking for all the other tournaments is free of charge, and spectators are always welcome. Brendon Riding Centre at Pyecombe held a highly successful Showing and Mini Jumping show in aid of Children in Need on Saturday November 18 and Sunday November 19. The event was well supported, as always, and raised more than £2,500 for the charity. Brendon’s impressive Paris ArenaShowing and Mini Jumping Results Saturday: Marvellous Mare- non lead rein pony- 1 Trixie and Scarlett Poulton; 2 Lizzie Bridey and Bladwin Watt; 3 Peanut and Sophie Moisey-Parry; 4 Goldie and William Dales; 5 Misty and Fleur Gallagher; 6 Dor and Kiya Morley. Marvellous Mare Lead Rein- 1 St Lucy and Lou Matilda Burnett; 2 Princess and Rosie Crumley; 3 Kentucky Blue Miss Ellie and Isla Moisey Parry; 4 Dellas Du Bleau and Florence Humphrey; 6 Cerys and Bertie Harrison. Gorgeous Gelding and non lead rein rider. 1 St Peter Pan and Maisie Harrison; 2 Kevin and Max Carr; 3 Taboo The Dude and Evita Hine. Pony Club Pony and Non Lead Rein Rider: 1 St Fudgie and Poppi Spivey; 2 Black Diamond and Jasmine Chaabane; 3 Goldie and William Dales; 4 Digger and Lottie Adams; 5 Pinky and Izzy Gladwell; 6 Trixie and Scarlett Poulton. Pony Club Pony- Lead Rein Rider. 1 St Kentucky Blue Miss Ellie and Isla Moisey-Parry; 2 Gizmo and Teagan Jacob; 3 King and Lola Moore; 4 Rave and Roxy Moore; 5 Snowy and Eva Whittome; 6 Lilly and Daisy Scott. Pony the judge would like to take home- non lead rein- 1 Taboo The Dude and Evita Hine; 2 Shadow and China West; 3 Pinky and Izzy Gladwell; 4 Bungee and Izzie Pollard; 5 Doodles and Faith Shephard; 6 Black Diamond and Jasmine Chaabane. Best Rider Non Lead Rein- 1 St Dinky and Ameilia Duggan; 2 Kentucky Blue and Miss Ellie Sophie Moisey-Parry; 3 Charlie and Esme Oliver; 4 Bungee and Izi Pollard; 5 Black Diamond and Jasmine Chaabane. The recent British Horse Society’s (BHS) annual Sefton Awards celebrated three individuals who have recently made significant contributions to equestrian safety. The Sefton Awards were set up by the BHS in 1984 as a legacy to Sefton, the Household Cavalry horse who survived the IRA bombings in London in 1982. Those honoured at this year’s awards were: Derek Thomas MP, Michelle Clark and Julie Doorne. Alan Hiscox, Director of Safety at the BHS said: “All recipients of a Sefton Award have demonstrated considerable passion and determination to improve the safety of equines and equestrians across the UK. The work these particular individuals have undertaken over the past year has been truly commendable and all of us at the BHS are extremely grateful for their outstanding efforts and commitment”. Award presentation L to R David Sheerin (BHS Chairman), Derek Thomas MP, Michelle Clark, Julie Doorne and Ellen Shaw (Ellen was awarded a Sefton in 2017 but had been unable to attend that year). Member of Parliament for St Ives, Derek Thomas, was acknowledged for his efforts in bringing the safety of horses and riders to the forefront of parliamentary discussion over the past year. Derek was also commended for his continual support to equestrians in his constituency, championing the BHS’s ‘Dead Slow’ campaign messages. Michelle Clark was recognised for her work in Surrey, where her fundraising and safety campaigning resulted in additional road signage being erected in her local area. Michelle’s campaigning followed a tragic car incident, resulting in the death of two horses and serious injuries for Michelle. Her efforts will directly improve the safety of many equestrians in her area. Julie Doorne was praised for her work surrounding the effects indiscriminate use of fireworks can have on horses and other animals. Julie has worked effortlessly to raise awareness of the welfare and safety issues surrounding fireworks and has presented two petitions, with a combined 204,000+ signatures to Parliament. The 2019 British Eventing fixtures list for next season brings new venues and classes to the calendar, along with changes to international class codes. Stapleton Manor in County Durham will host its first BE event on August 17-18 with classes up to novice. Ten regular venues will hold new classes next year. Bicton, in April, will host a new CCI2*-S class , Warwick Hall, will hold four- and five-year-old championship qualifiers in July, and Burnham Market,will add an intermediate class. Changes for Scotland include a new venue.Glamis Castle in Angus will run in August, following the loss of Hendersyde Park and Aswanley this year. Eglinton in June will be hosting a novice regional final, while Forgandenny in July will host a four- and five-year-old championship qualifier. Kirriemuir which previously ran twice will now run only on May 4. Other changes riders can look forward to include a new BE90Ou18 class, a BE90 exclusively for riders under the age of 18, andthe introduction of the BE80(T) regional finals for riders competing at grassroots levels, with the championship being hosted by Kelsall Hill, Cheshire on September 27-29. BE chief executive David Holmes explained: “The release of the 2019 fixtures calendar is an exciting time for everyone involved in our sport and is the culmination of a huge amount of work by the fixtures team and of course the organisers. Horsham Riding Club members took part in a new 2019 British Riding Club Arena Eventing qualifier at Brendon, Pyecombe recently on a dry day. The 70cm team of Louise Hamilton, Amy Little, Katy Bryant and Helen Ellicott got the club off to a great start with Amy on Thistle Forset Lady winning as an individual while Louise on Flight of Earls Foggy Moggy came fifth and the team itself also won. There were two senior teams in the 80cm, Horsham Horrors (Amy Sheen, Eleanor Petrie, Leila Royle-Davies and Jackie Oxley) and Horsham Hippies (Maxine Gayler, Suzie Artlett, Jenny Elgey and Libby Powell. Jenny on Oscar finished third. Amy on Wolvers Obsession finished fourth and Suzie on Mrs Beaton was sixth. The Horrors team were second and the Hippies third. The juniors also had a team in the 80cm with Olivia Nolan, Olivia O’Reilly and Olivia Mackay. The girls all rode well to finish individual 4th, 5th and 6th with the team taking second place. Finally the 100cm team of Elise Gayler, Sara Ingleson, Becky Lloyd, Eleanor Petrie and individual rider Liv Watts all rode exceptionally to end the day with a super win. Sara on War Lad was individual winner, Elise on Hotspur Last Tango second, Liv on Agher Spotted was third and Becky on Goldenboy fourth. The club hopes its winning 70cm and 100cm teams will be heading to the new Championship at Aston-le-Walls next year. Well done to all the Horsham riders that took part in this new BRC arena eventing qualifier at Brendon, Pyecombe. Everyone was extremely lucky to have a dry day after torrential rain night the previous night. The 70cm team of Louise Hamilton, Amy Little, Katy Bryant and Helen Ellicott got the club off to a great start with Amy on Thistle Forset Lady getting an individual 1st, Louise on Flight of Earls Foggy Moggy 5th and the team came first too. There were two senior teams in the 80cm, Horsham Horrors Amy Sheen, Eleanor Petrie, Leila Royle-Davies and Jackie Oxley, Horsham Hippies Maxine Gayler, Suzie Artlett, Jenny Elgey and Libby Powell. Jenny on Oscar came third, Amy on Wolvers Obsession fourth and Suzie on Mrs Beaton sixth. The Horrors team were second and the Hippies third. The juniors also had a team in the 80cm with Olivia Nolan, Olivia O’Reilly and Olivia Mackay. The girls all rode really well to come individual fourth, fifth and sixth with the team in second. Finally the 100cm team of Elise Gayler, Sara Ingleson, Becky Lloyd, Eleanor Petrie and individual rider Liv Watts all rode well to end the day with a superb win. Sara on War Lad was individual winner, Elise on Hotspur Last Tango second, Liv on Agher Spotted third and Becky on Goldenboy fourth. The club is waiting for confirmation from British Riding Clubs but hopefully its winning 70cm and 100cm teams will be heading to the new Championship at Aston-le-Walls next year.